Admit it. When you were a kid you were obsessed with the future. The Jetsons. Back to the Future Part II. Bill and Ted’s Excellent Adventure. But now that we’re here? Where are the hoverboards? Flying cars? All the zany adventures involving mistaken identities with our clones? Until we saw the slow motion booth, that is. Whether you’re cooler than James Dean on a trip to Antarctica or merely a weekend tourist to the exotic land of Cool-istan, Slow Motion will make you and your guests look coool. We’ve been seeing it in movies and TV shows for decades. Arnold Schwarzenegger walking in slow motion away from an explosion. Keanu Reeves ducking slow motion bullets. Sylvester Stallone connecting with a slow motion hit. It works for simple things, too. 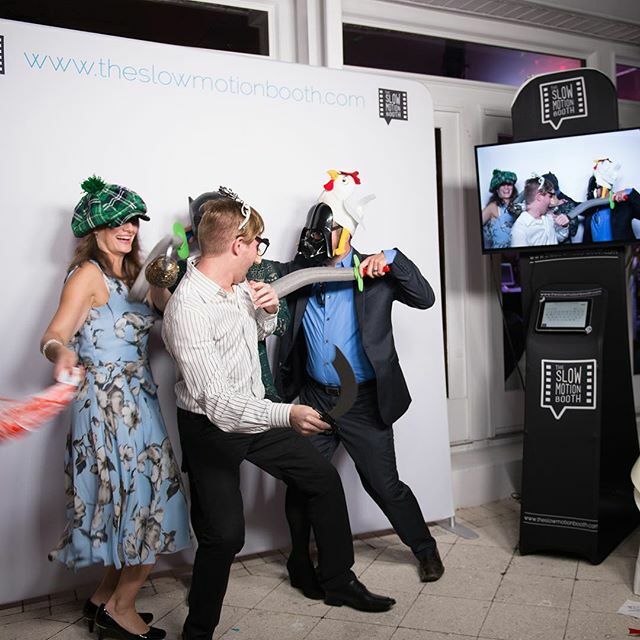 Check out our video for fun ways that people have used the slow motion booth to ramp up their forever memories. Seriously look at it! It makes everyone look like a movie star! Even if you don’t care about looking cinematic, trust us, your friends, family, and co-workers do! What better way to capture all of the sweet and embarrassing moments of a wedding? Sure, there will probably be a photographer. Maybe a videographer. And of course, everyone has a cell phone now. But we’ve found that people really let loose and get crazy in the photo booth. There’s something about the setup, the lights, the props, and the immediate results (you won’t wait weeks to get our photos back!) that really bring out the creativity in everyone. Most people only get married 1 to 3 times in their lives, so don’t forget to rent the cutting edge in photo booth technology! Don’t wait for your kids to ask with mortal embarrassment why your wedding lacked slow-mo videos when you can embarrass them first by showing your vids at all of their sleepovers. Above all else, party planners have one cardinal rule: Don’t Be Lame. This setup is a match made in heaven for your next business party. This is the same booth seen at the highest levels all across the country including parties for YouTube, Google, and the NFL. MiHi has got you covered for all your Denver Slow Motion Booth needs. No need going to the coasts for this magic. If you’re a Colorado company party planner, you have other considerations, too. Namely, taking advantage of marketing opportunities and potentially collecting data. Any of our booths do that. However, this slow motion booth does it better. This box is a veritable marketing machine. Our team can help you do onsite uploads, integrate with Facebook, load to microsites, do onsite edits, and make custom branding. Whats best is the professionally edited video you get from us after the event. Photos are easy and a dime a dozen for marketing and SEO. Professional video is GOLD on all digital marketing platforms. If you have an idea, let us know. We love doing custom! Experience - This has been used at some biggest events in the country including working with the NFL. Trust the best. Full Service - Each rental comes with two attendants. One to run the equipment. One to coach and inspire your guests. Videos - All of packages come with online video for your guests and their friends. Legit - All of our music is 100% legally licensed. Don’t run the risk with hack operators. Check out what songs are available at SongFreedom, Marmoset, and TheMusicBed. Customizable - Seriously. We do custom like no one else. Fun! - Bring your events into the future and give your guests a singular experience! So many things can go wrong when you’re planning a party. 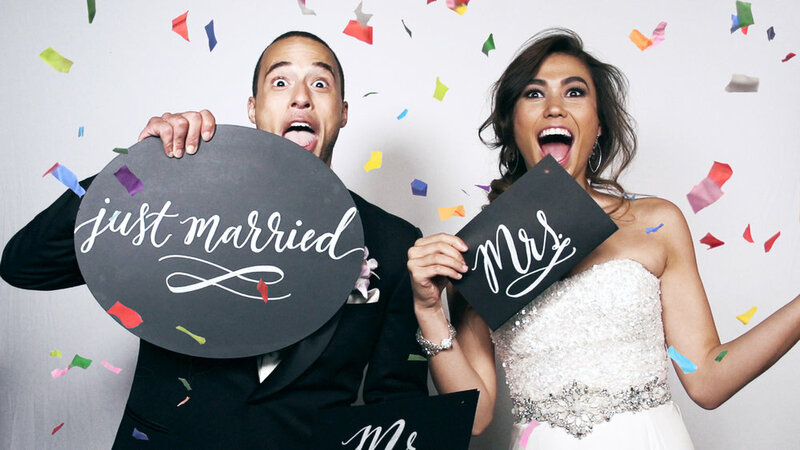 MiHi Photo Booth can help make sure that you get the forever moments you deserve! Let us take care of this part for you. It will be AWESOME. Guaranteed. That’s why we’ve been voted best photo booth service in Denver.